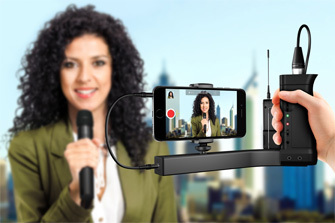 First, iKlip A/V is designed for mobile broadcast professionals to provide pro-quality audio to your mobile videos. It features an integrated microphone preamp with phantom power that lets you use a high-quality external microphone for audio capture. Simply plug your microphone or wireless receiver into the preamp’s XLR input, then plug the 1/8” TRRS cable into your smartphone’s headphone/mic jack. It’s that simple. Need phantom power to your mic? No problem! 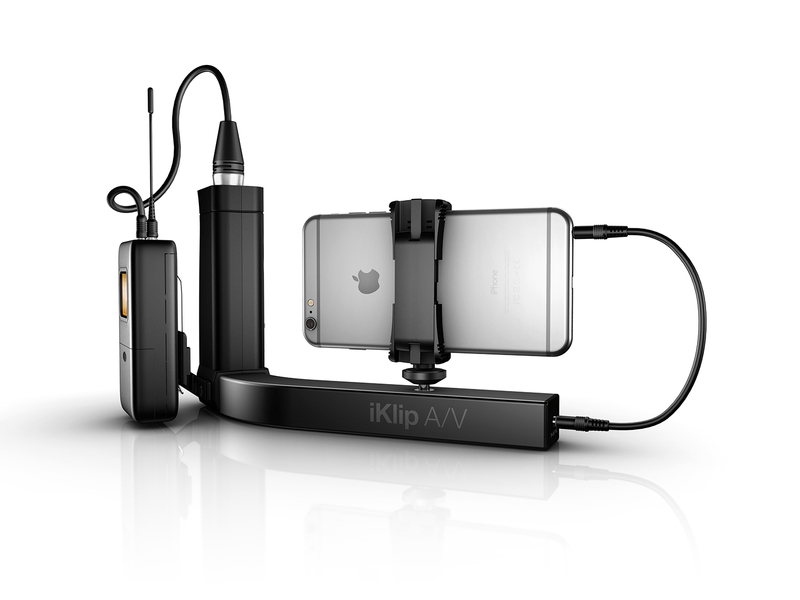 iKlip A/V provides 48v of power via two AA batteries, and also features built-in support for holding most popular wireless microphone receivers. For the best recording quality possible, iKlip A/V also provides real-time monitoring and gain control options: It comes with an input gain knob plus an 1/8" headphone output. 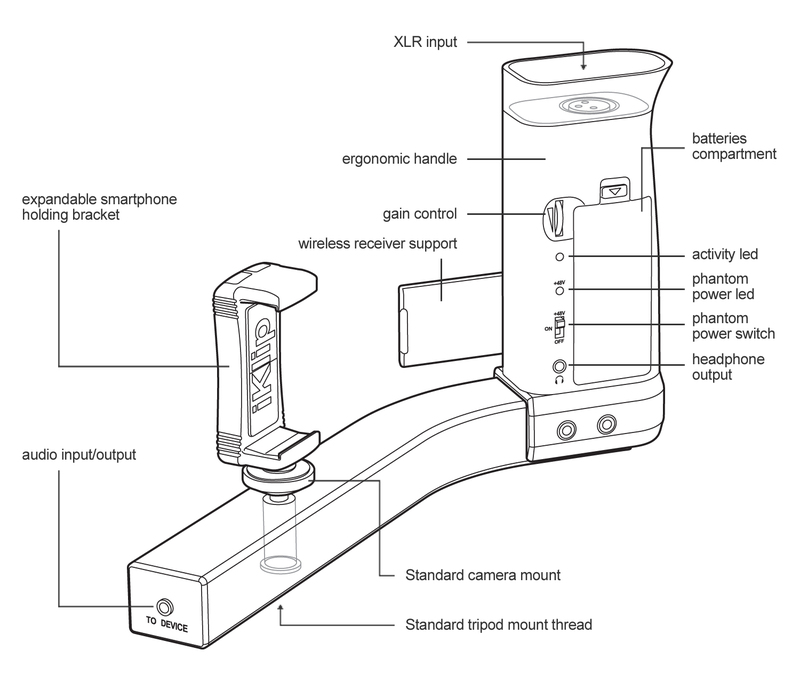 And, the best part of all is that all these extra features are all built into the grip itself, which makes for a streamlined recording experience that can't be found anywhere else. iKlip A/V features a steady-shot hand grip and expandable holding bracket — the same technology as iKlip Xpand Mini — that can securely hold any iPhone, iPod touch or Android device with a screen size from 3.5” to 6” You can attach iKlip A/V to a monopod or tripod thanks to its standard female threads on the underside for even more stability, and you can remove the iKlip Xpand smartphone holder an attach other types of compact video cameras to its standard camera mount. Whether using iKlip A/V as a handheld or on a tripod, you'll always capture a more superior picture and audio than you would if you were just holding your smartphone. 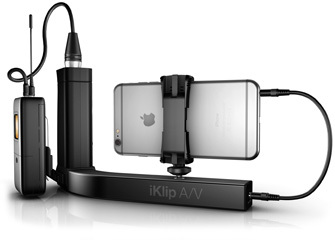 iKlip A/V works seamlessly with your iPhone, iPod touch or other smartphone. The reason it's so easy to use and universal is because its mic preamp plugs into your device via a 1/8" TRRS analog audio jack. This means you can use it — and get great broadcast-quality results — with any device that can either fit on its grip or fit on iKlip A/V's standard thread tripod/camera mount. 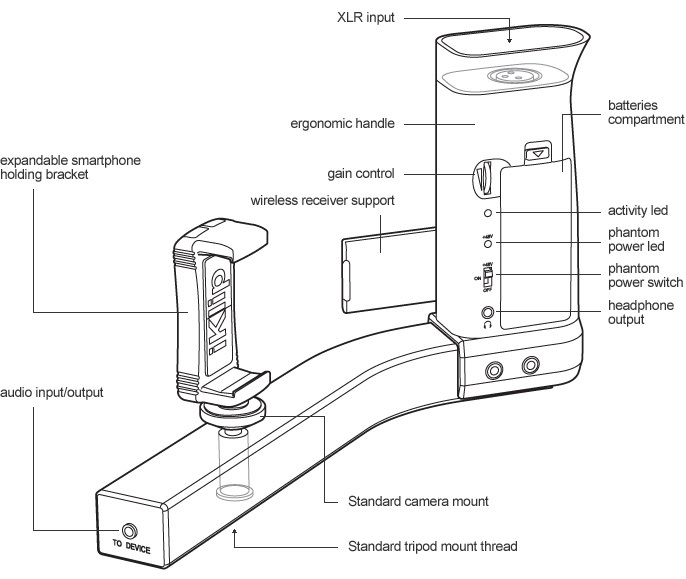 Similarly, iKlip A/V is compatible with all your favorite mobile video recording apps. This includes favorites like Apple's Camera app as well as third party apps that provide more control, like Filmic Pro.